Synthetic peptide corresponding to Dog Phospholamban aa 2-25. 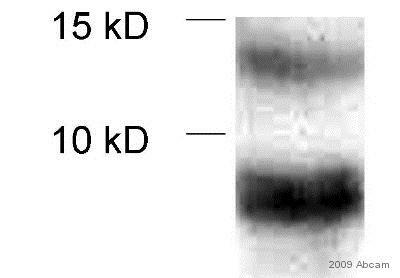 This antibody recognizes an epitope between amino acid residues 9-17 of canine PLB. Our Abpromise guarantee covers the use of ab2865 in the following tested applications. 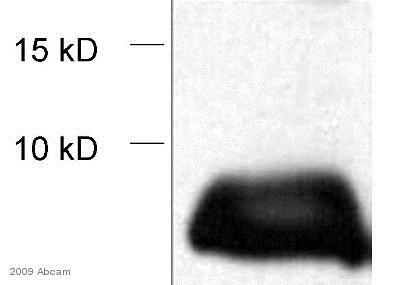 This antibody detects a 25 kDa protein under non-reducing conditions representing the pentameric form of PLB and a 5 kDa protein under reducing conditions representing the monomeric form of PLB in canine cardiac extracts. Unpurified Ab2865 staining human normal liver. Staining is localized to the cytoplasm. 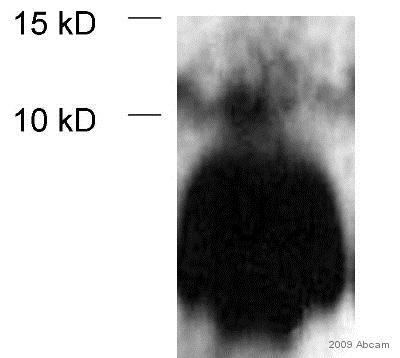 Left panel: with primary antibody at 1/1000. Right panel: isotype control. 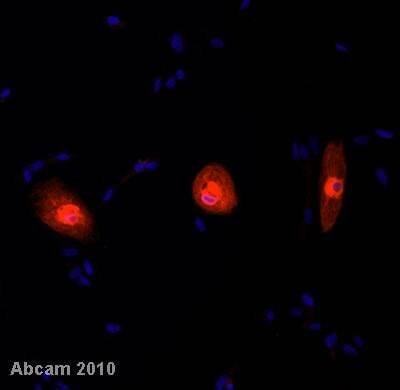 IF/ICC image of Phospholamban antibody (Unpurified ab2865) staining hES cell derived cardiomyocytes (red). The cells were fixed in paraformaldehyde and blocked in 4% goat serum for 1 hour at 25°C. 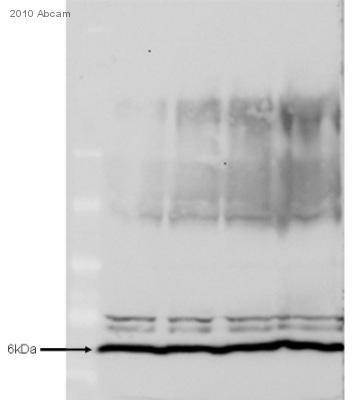 The Phospholamban antibody was used at a concentration of 1:250, for 16 hours at 4°C. Immunohistochemistry was performed on both normal and cancer biopsies of deparaffinized Human skeletal muscle tissues. To expose target proteins heat induced antigen retrieval was performed using 10mM sodium citrate (pH6.0) buffer microwaved for 8-15 minutes. Following antigen retrieval tissues were blocked in 3% BSA-PBS for 30 minutes at room temperature. Tissues were then probed at a dilution of 1:200 with an Unpurified mouse monoclonal antibody recognizing Phospholamban ab2865 or without primary antibody (negative control) overnight at 4°C in a humidified chamber. Tissues were washed extensively with PBST and endogenous peroxidase activity was quenched with a peroxidase suppressor. Detection was performed using a biotin-conjugated secondary antibody and SA-HRP followed by colorimetric detection using DAB. Tissues were counterstained with hematoxylin and prepped for mounting. Immunohistochemistry was performed on both normal and cancer biopsies of deparaffinized Human heart tissue tissues. To expose target proteins heat induced antigen retrieval was performed using 10mM sodium citrate (pH6.0) buffer microwaved for 8-15 minutes. Following antigen retrieval tissues were blocked in 3% BSA-PBS for 30 minutes at room temperature. Tissues were then probed at a dilution of 1:200 with an Unpurified mouse monoclonal antibody recognizing Phospholamban ab2865 or without primary antibody (negative control) overnight at 4°C in a humidified chamber. Tissues were washed extensively with PBST and endogenous peroxidase activity was quenched with a peroxidase suppressor. 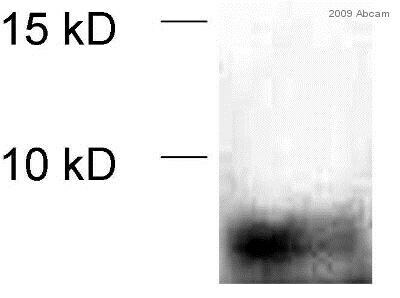 Detection was performed using a biotin-conjugated secondary antibody and SA-HRP followed by colorimetric detection using DAB. Tissues were counterstained with hematoxylin and prepped for mounting.